Hello and welcome to my blog. 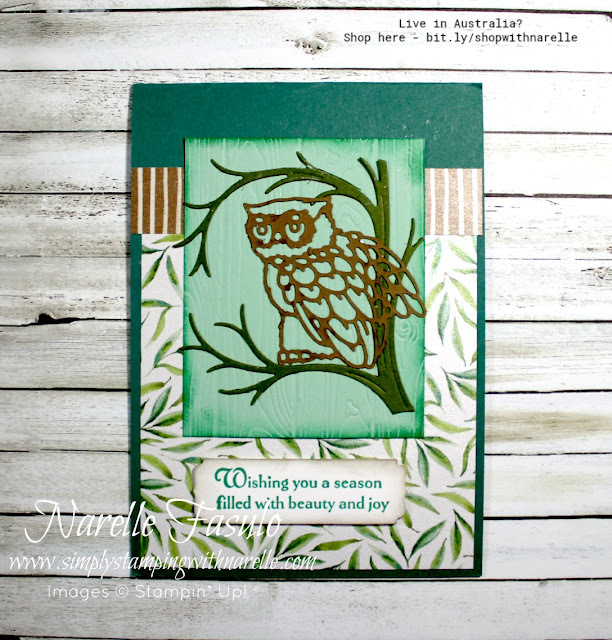 Today I have another card to share with you that has been created by a fellow demonstrator friend. Adele Smith has been a friend for a few years now, so I was excited to see she was part of the Holiday Catalogue card swap I was part of. And I was even more excited when I saw what she made. 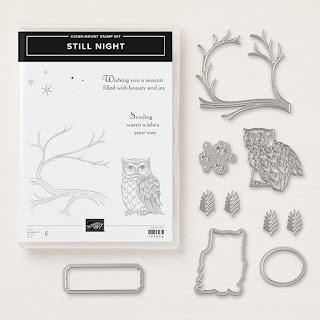 I don't own this stamp set or the matching dies. So I was super excited to see someone use them so that I had a sample to show you all. Don't get me wrong, I love this set, but I just can't buy them all. That's why swaps are so awesome. It gives me an opportunity to share products with you that I otherwise would not be able to. Don't you love this big old owl. This die cut is so versatile and can be made so different depending on the mood of the card it is used on. 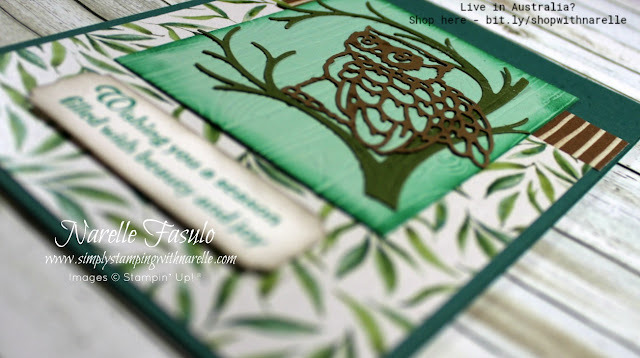 There is also a lovely owl stamp. I love how Adele has picked up the lovely green shades from the Frosted Floral Designer Series Paper. It gives the whole card a lovely serene feel. To purchase any of the products on this project, please see the Product List below.